Explore 100 breathtaking scuba diving sites around the world--from the cenotes of Mexico to the best wreck in Micronesia--through stunning National Geographic photography, expert tips, and cutting-edge travel advice. 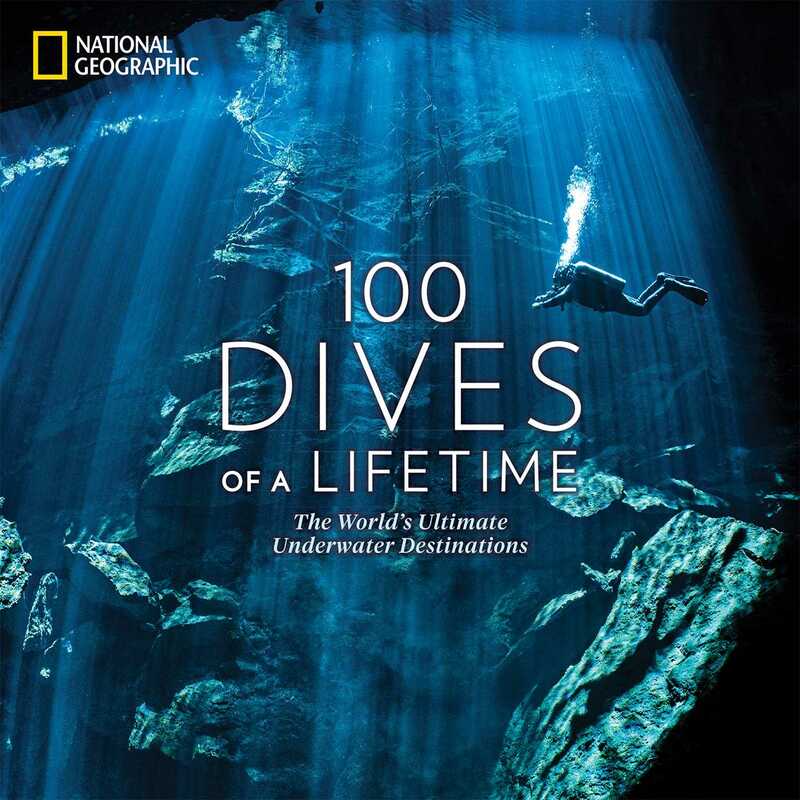 Filled with more than 350 images from National Geographic, 100 Dives of a Lifetime provides the ultimate bucket list for ardent scuba divers and aspirational travelers alike. From diving with manta rays at night in Kona, Hawaii, and swimming with hammerheads of Cocos Island in Costa Rica to exploring caves in Belize's Lighthouse Atoll and diving beneath the ice floes of Antarctica, this exquisite inspirational book is filled with beautiful imagery, marine life guides, trusted travel tips, and expert diving advice from world-famous National Geographic divers and explorers like Brian Skerry, Jessica Cramp, and David Doubilet. Organized by diving experience and certification level--from beginner open water and wreck dives to expert cold water and cave dives--each location offers a once-in-a-lifetime opportunity to explore the magic of our world's oceans--from your armchair or with your scuba gear in tow.